Identification: Who Said You are _______? Do You Believe Them? The year is 2017 and we as people of color have more opportunities than ever. We have proven that we can compete in the classroom, newsroom, and the boardroom. We have a proven track-record of excellence across many disciplines. Many of these achievements are in fields of endeavor that our ancestors thought would never become open to us. In fact, they could only imagine living in a world full of opportunities like we have today. Ours is truly an amazing story, and an even more amazing journey. Along the way there have always been obstacles put in our way for us to overcome. There have always been challenges for us to recognize and face. There have always been questions we needed to answer just to become qualified. I think we have overcome numerous obstacles, faced several challenges, and answered all of the questions correctly. Now we must take the next step by defining our true identity. During our journey, we have been identified in many ways. We have been called many names. We have been given many titles. Our character and worth as a people has been defined for us, and often not in glorious terms. We have been told we are inferior, unworthy, incapable, unlovable, unredeemable, ungodly, unlawful, uneducated, unteachable, unreachable, lazy, and ugly. Now I ask a simple question: Who said you are _______? Do you believe them? If you believe them, then they have won. They have defined your character for you. I am here to refute everything they have said. I am here to break every stereotype they can find. I am here to correct every false opinion about us. Now I ask a simple question: I say you are __________ . Do you believe me? If you believe me, wake up and seize your victory. Use self-identification to define your true character. Live up to everything I am about to say. Break every stereotype about who you are. Correct every false opinion they have about you. Who said you are inferior? I say you are superior! Who said you are unworthy? I say you are worthy! Who said you are incapable? I say you are capable! Who said you are unlovable? I say you are lovable! Who said you are unredeemable? I say you are redeemed! Who said you are ungodly? I say you are God-fearing! Who said you are unlawful? I say you are law-abiding! Who said you are uneducated? I say you are educated! Who said you are unteachable? I say you can be taught! Who said you are unreachable? I say you are reachable! Who said you are lazy? I say you are energized! Who said you are ugly? I say you are beautiful! Now that you have been correctly identified, rise up and find success! The year is 2017 and we as people of color have more opportunities than ever. We have proven that we can compete in the classroom, newsroom, and the boardroom. We have a proven track-record of excellence across many disciplines. Many of these achievements are in fields of endeavor that our ancestors thought would never become open to us. In fact, they could only imagine living in a world full of opportunities like we have today. Ours is truly an amazing story, and an even more amazing journey. This entry was posted in Uncategorized and tagged African-American, Black Lives Matter, Civil Rights, Education, Politics, race relations on April 2, 2017 by motivationfortheworld. Mass incarceration has affected millions of people across all races, and the result is many of these people become a part of a permanent underclass who will struggle to live a normal life. Of course, many of the people who are incarcerated committed heinous crimes that need to be punished. These are not the people this is meant to address. Instead, we must take a closer look at people who were sentenced for minor crimes and misdemeanors, either justly or unjustly. In these cases, incarceration causes an enduring legacy that disqualifies millions of American citizens from returning to a normal life. Far too often, these people are poor, uneducated, and minorities. This is why along with credit, education, and voting rights, mass incarceration might be the last of the remaining great disqualifiers. Mass incarceration is a great disqualifier because a criminal record will follow and ex-offender even though they may have paid their debt to society. Although prison is supposed to rehabilitate its offenders, we know it does not do a good job of rehabilitation. Upon release, “reformed” criminals who try to straighten up their lives have a hard time erasing the stain of their criminal record. It follows them as they seek employment, housing, and voting rights. This is due to the requirement to disclose prior convictions on applications to “determine” eligibility. We know the deal here: this disclosure is more likely to disqualify people from a proper evaluation and consideration. Who gets caught in this trap: primarily minorities, immigrants, and poor people who get incarcerated. Recently I had to look for a job, and I was surprised at the new levels of questions that ex-offenders have to answer. Basically, these questions ask if a person has been convicted of a crime. Depending on the organization or company, a “yes” answer leads to a series of additional questions. The most important of these questions is probably whether the crime was a felony or misdemeanor. I do not have statistics, but I am willing to bet that people who disclose their felony conviction are far less likely to be considered for employment than those who commit misdemeanors. Factor in those who have not committed crimes, and you can see how far behind ex-offenders are when looking for employment post-incarceration. When seeking employment, ex-offenders can easily be disqualified. Mass incarceration is one of the last remaining disqualifiers for them even though they have paid their debt to society. Ex-offenders are also left way behind when seeking housing opportunities. Once again, an application will probably ask if a person has been convicted of a crime. This time, a potential landlord has the power to determine whether or not the answer to this question will disqualify a person from obtaining housing. I do not have statistics, but I am willing to bet that people who disclose their felony conviction are far less likely to be considered for housing than those who commit misdemeanors. Factor in those who have not committed crimes, and you can see how far behind ex-offenders are when looking for housing post-incarceration. When seeking employment and housing, ex-offenders can easily be disqualified. Mass incarceration is one of the last remaining disqualifiers for them even though they have paid their debt to society. We have seen wave after wave of challenges to voting rights in America. Perhaps nowhere is this challenge stronger than establishing, or reestablishing the right to vote for ex-convicts. Some states allow ex-felons to return to voting rolls once they are released from prison. Other states do not allow them to vote. The recent trend is to either prevent ex-offenders from voting, or to strike them from voting lists. Once again, ex-offenders are required to disclose their convictions upon reapplying for the right to vote. I do not have statistics, but I am willing to bet that people who disclose their felony conviction are far less likely to be considered for voting than those who commit misdemeanors. Factor in those who have not committed crimes, and you can see how far behind ex-offenders are when looking to reestablish their voting rights post-incarceration. When seeking employment, housing and voting rights, ex-offenders can easily be disqualified. Mass incarceration is one of the last remaining disqualifiers for them even though they have paid their debt to society. Is there something sinister at work that is designed to ensnare certain group of people into the web of the criminal justice system? Is there a secret “system” in place to create a permanent underclass based on mass incarceration? Is mass incarceration another disqualifier on the same level as credit mismanagement, a lack of education, and denial of voting rights? We need to find answers. What do you think is the cause of mass incarceration: the last remaining great disqualifier? This entry was posted in Uncategorized and tagged Bill de Blasio, Civil Rights, Crime, Criminal Justice, Education, Rikers Island on March 15, 2017 by motivationfortheworld. One house in a row of five houses is on fire. One of the houses that is not on fire is a blue house. The fire department is called to the neighborhood. They immediately rush to the house on fire and commence to their spray water. As they do this, are they saying the hell with the other houses that are not on fire? Ask yourself, are they neglecting the houses that are safe? Are they making a conscious decision to disregard the people in the blue house? No, they are addressing the problem: one of the houses is on fire and we are here to address the problem. The house on fire is #BlackLivesMatter. The houses that are safe are #AllLivesMatter. The people in the blue house are #BlueLivesMatter (#CopsLivesMatter). In the case of the blue house, things appear to be normal, but maybe a closer inspection will uncover that their house needs attention too. But even in this case, is the blue house in more danger than the burning house? October will be Breast Cancer Awareness Month. Does this mean in October we will say who cares about lung cancer awareness and those who suffer from that illness? Save the rainforests and save the whales? So I guess the other forests and sea animals don’t matter. A doctor is an eye surgeon. Does anyone have the right to tell her or make her also perform root canals? Each one of these examples is utterly ridiculous. They are so ridiculous that they can be dismissed immediately. Yet when we discuss #BlackLivesMatter, critics can’t seem to comprehend that these examples are the “exact” same thing. Again, black lives matter DOES NOT MEAN we say who cares about white lives. Black lives matter DOES NOT MEAN other lives don’t matter. Black lives matter DOES NOT MEAN their cause can be told or forced to perform a different action, such as address the false narrative that is black-on-black crime. Support our Troops in Afghanistan… does this mean forget about the ones in Iraq? How about the ones in South Korea? We want to protect the rights of handgun owners, so the rights of shotgun owners do not matter. Unfortunately, many of our veterans are suffering from combat-related illnesses. Should we concentrate on them, and let those veterans who are just homeless fend for themselves? …if, after all of these examples, you still do not understand #BlackLivesMatter, then something else must be going on. I have two potential explanations. Explanation #1: There must be something more sinister that is directing your misunderstanding. If this is true, it is probably because of the inclusion of one small word. The inclusion of this word, dare I say, (Donald) trumps all ability to use reason to see what this issue is all about. The word is BLACK. Somehow this word, when it is used to discuss issues related to black people, is always perceived to be a threat (see Black History Month, Congressional Black Caucus, Historically Black Colleges and Universities, etc.). We are talking about a word! Can you imagine how some people feel when using this word is not enough, so we start marching in protests (aka #BlackLivesMatter) in cities across the country? Explanation #2: There must be an intellectual gap that is directing your misunderstanding. This could be as simple as not understanding words or the analogies presented here. It could also be as simple as adding personal opinions and biases to this issue. Or it could be listening to those who are purposely and intentionally telling you not to use your ability reason and use common sense (this is called intellectual dishonesty). They tell you #BlackLivesMatter is a hate group, so you listen without investigating for yourself. I will let you decide which explanation works for you if you choose not to understand. For some, nothing can convince them that #BlackLivesMatter does not mean “all lives” or “blue lives” do not matter. I guess we let those folks wear the shoes that fit them. By the way, because I just mentioned shoes, does it mean I am anti-work boots? This entry was posted in Uncategorized and tagged African-American, All Lives Matter, Black Lives Matter, Blue Lives Matter, Civil Rights, Cops Lives Matter on July 13, 2016 by motivationfortheworld. In the Unites States, we have an antiquated education system. It is another great disqualifier for far too many students. Our current system is still based on the outdated calendar cycle of when crops were planted and harvested. This is because in the past children were needed to harvest crops alongside their parents. The school calendar was created with this in mind. Children would be available to plant crops in the late summer months, and then be available again at the beginning of the next summer to harvest them. As a result, generally speaking the school calendar starts in September and ends in June. Today, although there are plenty of farmers who may still benefit from this setup, the overwhelming majority of American parents do not require their kids to harvest crops. It takes away from the time some students need just to avoid being disqualified because of their lack of a quality education. In theory, American children could go to school for an extra month during the summer, or the school calendar could be adjusted throughout the year to allow for an extra month for education. Adding an extra month to the school calendar seems like a radical idea because we have all been conditioned to accept the current setup. However, when we look at the steady decline of our educational system as a whole, most people agree that something must be done. Studies show American students are slowly falling behind their counterparts in other countries around the world. This can be traced to the amount of time spent in the classroom. Some countries like Japan require their students to attend school longer than we do in our country. The result is the students in these countries outpace American students in various educational disciplines. When we look closer at the demographic studies about the American education system, we see that rural and suburban schools generally have better results than urban and inner-city schools. This is called the education (or achievement) gap. Think about it, students who are in urban and inner-city schools are more likely to be behind their counterparts in rural and suburban schools. Because the world is now a global marketplace, this means urban and inner-city schools produce students who are even farther behind their counterparts in many foreign countries. This disparity becomes another great disqualifier, both at home, and in competition against students around the world. For the sake of analysis, we want to focus on the education gap that exists in America and how it becomes a great disqualifier. If you go to an overcrowded school with limited resources and funding, you are at an educational disadvantage. If you go to a lower-rated school with underachieving students and teachers, you are at an educational disadvantage. If you go to an underperforming school with discipline and behavioral issues, you are at an educational disadvantage. The amazing thing about all of these situations is that many students overcome these challenges. However, far too many students do not. They are disqualified because of their lack of a quality education. Now let’s look at higher education. Competition for slots at colleges and universities across the nation is fierce. The difference between getting accepted and getting passed over still boils down to academic performance. If a student from an urban or inner-city school does not perform as well as their suburban counterparts, the probability increases that they will be left behind when it is time to apply for college. The inferior education disadvantaged students receive can disqualify them for college, or at least hinder their chances to go to an elite school. Their education also hampers their ability to keep pace should they get accepted into a college or university. Once, again, education can serve as a disqualifier for these students. Why was home economics taken out of the curriculum? Why isn’t a mandatory personal finance and credit course taught in every high school? Why are schools taking the arts and music out of their course electives? Why do we make kids take higher level mathematics when few of us ever use those concepts in real life? Why don’t we add civics back into the curriculum for all students so they can understand how government SHOULD work? As a final thought, at no point in this post did I mention race. For those who see race in everything, you can rest assured that this is more about education as a disqualifier based on class, not race. Poor people who are educationally disadvantaged come in all colors and ethnicities. Therefore, they are all in the same boat. When they realize this, I think they can come together and influence change. Maybe this change will be at the ballot box. Perhaps it will occur at the PTA meeting. Either way, top-down solutions from our government and educational leaders have not helped enough.I believe that the change our educational system needs will have to come from the bottom-up; parents and students must lead the charge. This entry was posted in Uncategorized and tagged Civil Rights, Education, Financial Education, Personal Finance, Politics, Poverty Level on July 3, 2016 by motivationfortheworld. Learn Our Story: We Are Successful! Thanks to the advances we have made from slavery to the Civil Rights Era; we have been left a remarkable gift by the highest achievers of our race. The gift is their stories of success. We all MUST learn about each of these successful people and many more if we are going to tap into ways that will lead to greatness. We need to understand that most, if not all, of the successful people in our race started with little or nothing. Yet, they were able to use what they had to achieve great things. If they could achieve success, why can’t we, with all of the resources we have in the 21st century, become successful too? We all know about Dr. Martin Luther King Jr. This is because he is one of the few African-American leaders we learn about in school. This is why there is an old joke that goes around about trying to answer a question about a successful black American. The “answer” is always Martin Luther King. Who was the first black American to run in a marathon? Don’t know? Say Martin Luther King! It is a funny joke, but not because it makes you laugh. It’s funny because it is a true, yet very sad commentary on our knowledge of successful black people. We just don’t know enough about black pioneers and creators. There are thousands of books that contain the “secrets” of our race. 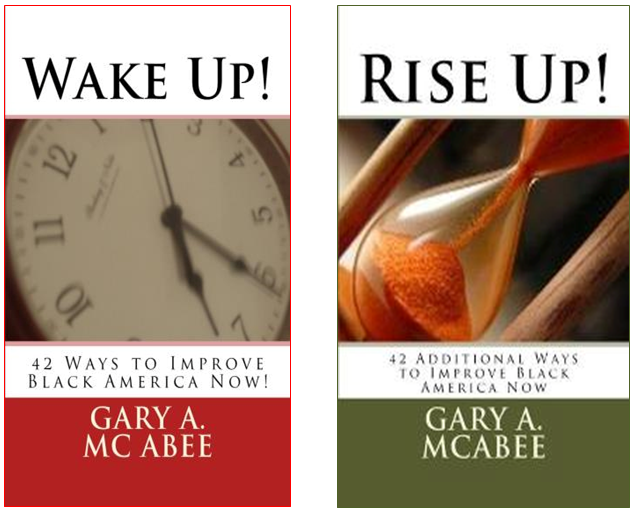 We have autobiographies of black Americans such as Booker T. Washington and Malcolm X. We have poetry, created by Phyllis Wheatley and Maya Angelou. We have the magazines produced by John Johnson and Earl Graves. All of this means that finding and reading literature created by or written about successful black Americans should not be a problem. We have been active in the political arena. Our political leaders have scored countless victories that have not only benefited black Americans, but all races of people. We should be proud of their accomplishments and celebrate their successes. Shirley Chisholm and Maxine Waters are shining examples of the impact African-American women can have in politics. Douglas Wilder and Tom Bradley proved that black men could be elected and handle state and large city governments. They all proved to us that it can be done. We simply need to find out how they became successful and use their methods to duplicate their success. In order to build upon the success of others, we must learn about them. Unfortunately, as a whole, African Americans don’t read enough or do our own research unless we have to. We should be willing and able to learn about our true heroes: successful black Americans who paved the way for us today. The internet is a blessing to us because we can easily find all there is to know about successful African Americans. There is no excuse why we do not know about the highest achievers in our race. So the readers of this book have an assignment: to learn more about the following African Americans. First, search for their biographies. What were their beginnings? Next, read about their achievements. What were their goals? What obstacles did they overcome? Finally, learn their secrets to emulate their successes. What achievements make them famous? The following list of famous African Americans should be researched to learn more about their legacies and contributions to our race. It consists of African-American men and women who achieved greatness in various walks of life. Purposely, it does not include famous athletes or modern day entertainers. Although their contributions are very important, if asked, I am confident that most of them would attribute their success to people on this list. If not, then they have an assignment too! After learning about these outstanding examples of success, we should not let our research about the achievements of African Americans stop here. These are only 20 out of millions of successful black Americans worldwide. Our race has produced some of the brightest, most creative minds in human history. We can learn volumes from these people and put their action plans to work immediately. The question is: are we as a race ready, willing, and able to use our heroes as our role models so our race can become successful? This entry was posted in Uncategorized and tagged African-American, Black America, Black History Month, Black Lives Matter, Civil Rights on April 10, 2016 by motivationfortheworld.